1. Jane, my sister, and I made these delicious Jamacian Veggie Patties by scratch. They were delicious. Mom kept calling them empenadas. She liked them and she doesn’t even like ethnic food, so we did a good job. 2. I did 45 minutes on the elliptical machine,burning 460 calories. 4. I enjoyed watching the closing ceremony of the Olympics 2012 with my family and holding baby Thomas. 5. I made my very first frittata this morning, inspired by my friend Joel. The trick is to cook on medium heat. 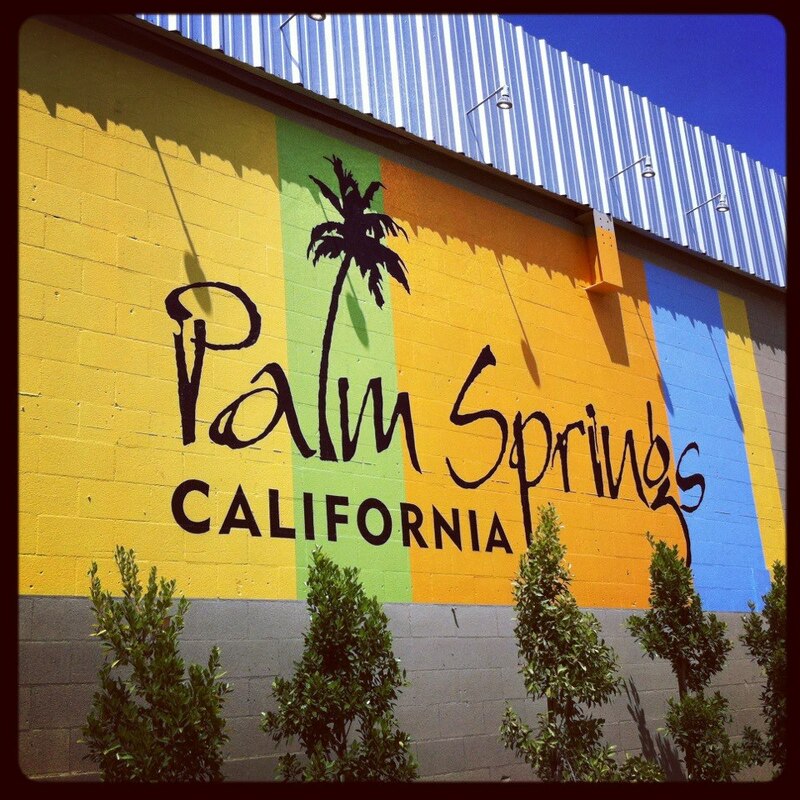 So, I’m in Palm Springs, California for a little bit. 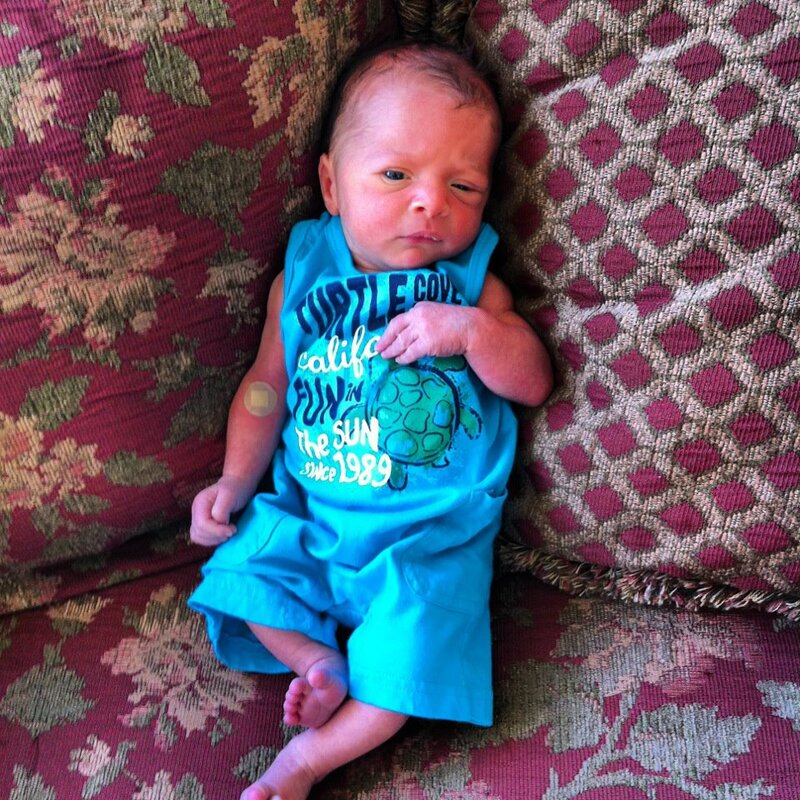 My little sister had her 2nd baby. He is adorable. His name is Thomas. What a cutie pie. I love being with my family. I have been a traveling fool this summer. I feel so lucky, blessed and blissed. I may not be rich in money but sure am rich in experiences. Bahamas with my best friend, Hilton Head with family and celebrating my birthday, Yogaville in Virginia at a kids camp, Isle of Palms and Folly Beach, SC with the Sol Driven Train guys. Palm Springs is hot. My I-phone says its 111 degrees, but I feel like its 137 degrees out there. Too funny. Life is a bit more laid back here, due to its too hot to do anything outside. Also, I don’t have a car. But, I am about to start checking things out. I want to check out the Bingo Lounge at Ace Hotel, I want to go on the Tram before I leave and go find a yoga class. 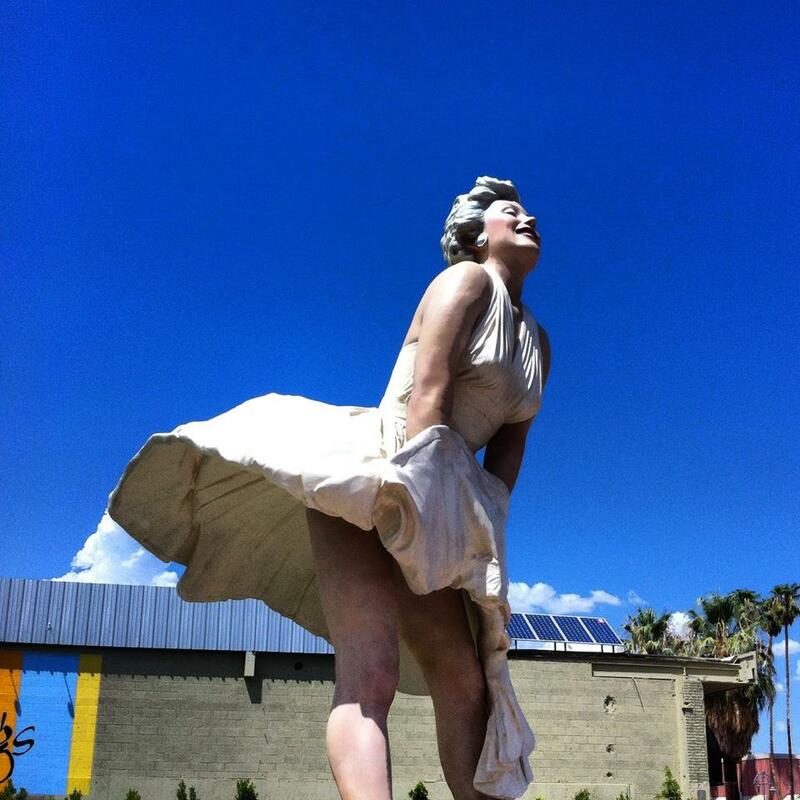 Downtown Palm Springs boasts a 26 foot statue of Marilyn Monroe. She is lovely. I had to go and check her out.